It’s o-fish-al! 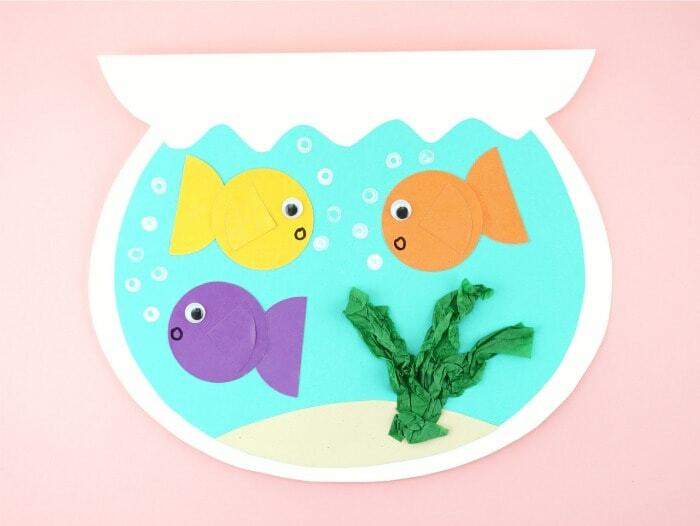 This cute fish bowl craft for kids is our favorite craft we’ve made this summer. 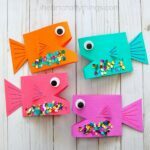 If it’s too hot to play outside during the afternoon bring the kids indoors to cool off while making some cute fishies. 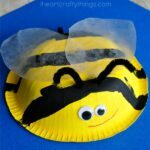 We shared this fun fish bowl craft over on Fun365.com so head over today for the template, supply list and instructions. 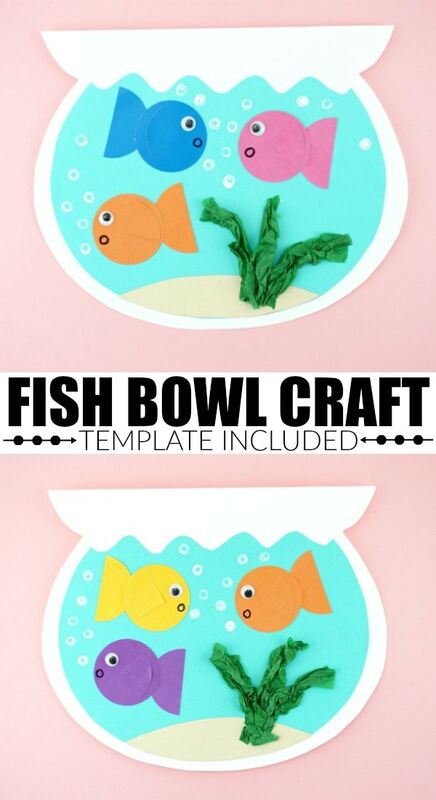 My favorite part of this craft is that although kids use all of the same elements to make it, there is still plenty of opportunity for kids to personalize their fish bowl craft with different colored fish, how many plants they add at the bottom of their bowl and how many fun bubbles they add around their cute fish. Oriental Trading’s colorful paint chip circles come in a huge stack of varying colors so there are plenty for an entire classroom to make this craft, or if you are making this craft at home, you’ll have plenty leftover for other crafts or learning activities. 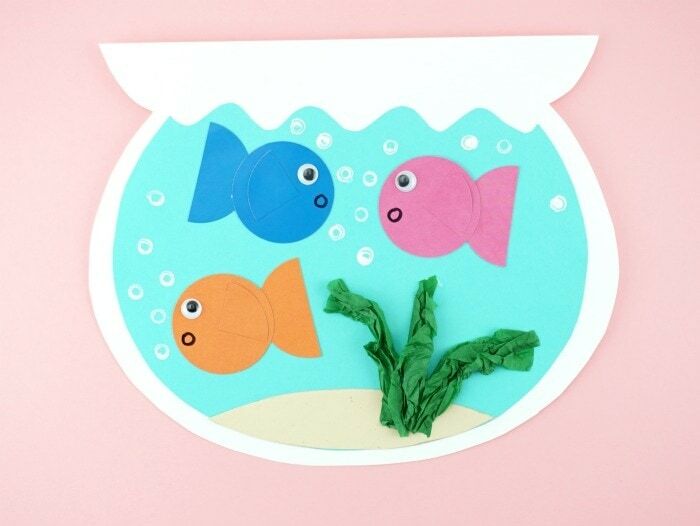 Imagine a bulletin board full of this darling fish bowl craft outside the classroom with the saying “We are o-fish-ally ready for 2nd grade!” Time to grab your supplies from Oriental Trading and have a blast making this cute fish bowl craft with your kids. Looking for more ocean themed fun? These paper bowl jellyfish are colorful and so much fun for kids to make. These paper straw bendy snakes are great for strengthening fine motor muscles and they are super fun for kids to play with. Kids bored? Have an afternoon full of fun making a DIY Funny Face Flip Book! These fun books make a great family activity too. Each member of the family can complete a different page of the book and the family can giggle combining everyone’s faces together. One of our favorite summer activities is making finger puppets and putting on puppet shows. 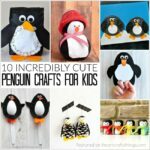 We have so many fun ideas like our unicorns, pirates and giraffes.